You don’t have to stand over a personal home shredder for hours on end. Simply drop your boxes off at our conveniently located site and work directly with Adelante’s customer service personnel. No appointment is necessary, we are open from 8 am to 5 pm, and we’ll even help you unload. It’s a simple process, making it easy for you to safely and securely get rid of accumulated documents. This can be especially helpful for estate shredding, because when a loved one dies it is a huge risk to just throw documents with personal information away. Safe guard yourself and loved ones from identity theft by shredding personal information. Adelante can offer a discount for high-volume and long-term contracts. 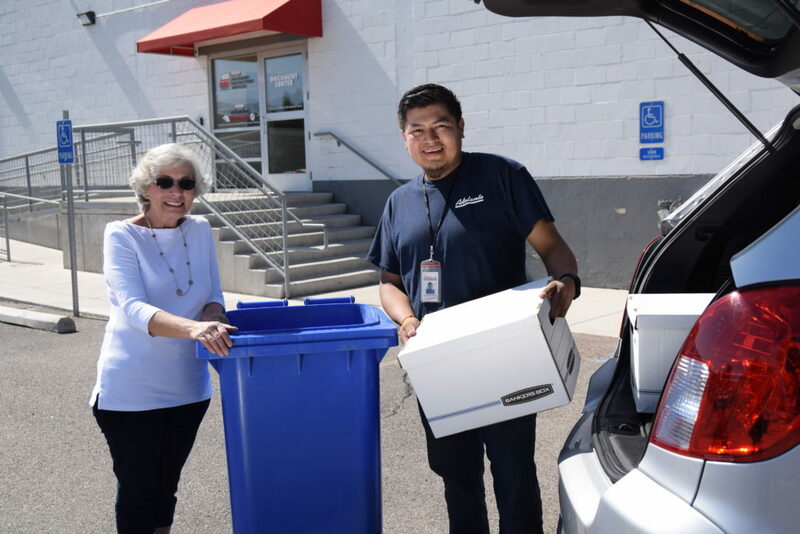 If you just need a one-time purge of just a few boxes of documents, you can take advantage of our walk in service. If you need more specific information, or if you are not sure how to gauge how many pounds of paper you need us to shred, please contact our sales professionals for a quote that meets your needs.